With the days (and nights) starting to get a bit colder we hosted a tasting of deliciously rich and warming Cabernet on the 12th October 2011. Our great line-up of the best Cabernet from around the world included iconic examples from Argentina, Australia, South Africa, California and not forgetting Bordeaux! 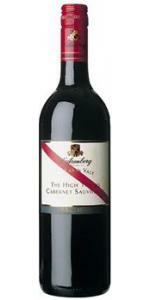 Cabernet’s main attributes are its firm tannins, fresh acidity and red fruit flavours. Throughout the evening our tasters got to experience how wonderfully different it can taste depending on which corner of the globe it is made. Bodegas Lurton’s Cabernet Sauvignon is fruit driven with buckets of dark berries and gentle herby notes, offering the perfect balance between the savoury, herbaceous Bordeaux and the ripe and luscious Aussie interpretation. Uco Valley just south of Mendoza in the foothills of the Andes is considered one of the best places to plant red grape varieties and Bodegas Lurton were one of thr pioneering growers from the region. Lurton is now a 3rd generation wine-producing family originally from France, and you can really taste their French roots in this fantastic Cabernet! Following Argentina’s offering we looked at one of the great Aussie producers! D’Arenberg, despite being quite a large producer, applies artisan practices to their prodcue enabling them to make very high quality wines. The High Trellis 2008 is a great example Aussie Cabernet at it’s best: aromas of fresh, ripe blueberries and cassis mingle with violets and leafy aromatics. There’s a touch of spicy oak adding complexity to the typical d’Arenberg soulful earthiness. This was one of the favourites of the night and went down on a real treat. We also plucked from a region less known for making great Cabernet: Stellenbosch in South Africa. Famous for making Pinotage, Meerlust’s Rubicon is their most awarded wine and is a Bordeaux blend consisting of 74% Cabernet Sauvignon, 18% Cabernet Franc and 8% Merlot. It has all the savouriness of Bordeaux with dark fruits and earthy smokiness. South Africa can be overlooked when looking for an elegant wine, but in the last decade has seen an emergence of world-class winemaking across the cape. 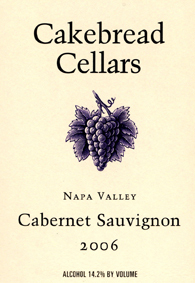 The penultimate wine was Cakebread Cellars’ Cabernet Sauvignon from Napa Valley. Napa is a very special wine making region and it’s adaption to Cabernet has been instrumental in the development and evolution of the area. Characteristocally it has cassis, blackberry and boysenberry with subtle hints cedar, black tea spice and sweet oak scents. It would be hard to mention Californian Cabernet and not mention the great tasting of 1976 where, in a blind tasting, Stag’s Leap Cabernet topped its Bordelian counterparts. Californian Cabernet can be a bit of an insiders secret, but it’s time to let it out of the bag! Our last wine on the list was a classic Boredaux wine. Bordeaux is divided into 2 categories, the right bank for Merlot based wines (with a small proportion of Cabernet) and the left bank for Cabernet based wines (with a proportion of Merlot). Right bank wines refers to wines coming from the right bank of the Dordogne and includes Pomerol and St Emilion whilst wines on the left bank include Medoc, Haut-Medoc, St Estephe, Margaux and Pauillac. Bordeaux Cabernet is one of the most restrained, earthy and savoury expressions with delicious flavours of red and blackcurrants, pencil shaving and cedar. The example we chose for the tasting was ‘La Bastide Dauzac’ from Margaux, the 2nd wine of Chateau Dauzac. All the wines were presented by the wonderful Monica Murphy of Febvre, who showed us what makes Cabernet Sauvignon so unique and how each terroir can create subtle, and sometimes not so subtle, differences in this wonderful grape. To find out more about ely’s wine tasting and events please contact wineclub@elywinebar.com , call (01) 678 7867 or check out our website. 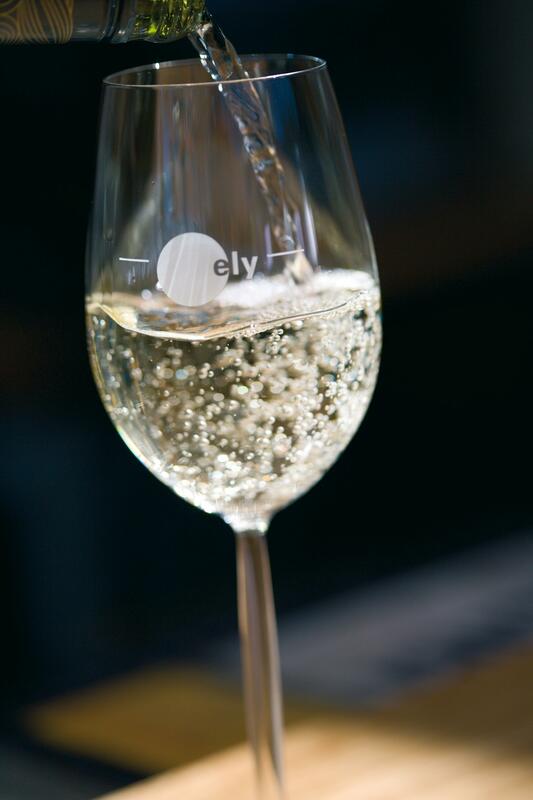 All the above tastings start at 18:45 sharp and take place in ely bar & brasserie, IFSC. Click to find out about our wine course or our BIG wine tasting happening in Spring 2012. Wednesday night at ely winebar, Dublin, is wine tasting night! Each week we’ll taste a selection of wines from the given theme and serve a supper dish to match the wines. All tastings are held at ely wine bar, 22 Ely Place and start at 6.45 sharp. To make your reservation please contact wineclub@elywinebar.com or call 01 676 8986.